I always thought of the restaurant principally as a convenience for our customers – a place where they can relax while their cars are being serviced or their purchases are being processed. You can talk things over in the restaurant without leaving the dealership. Bert teams with “Mac” McPheeters, a leading manufacturer of precision aircraft equipment, to create Establishment Motor Homes. 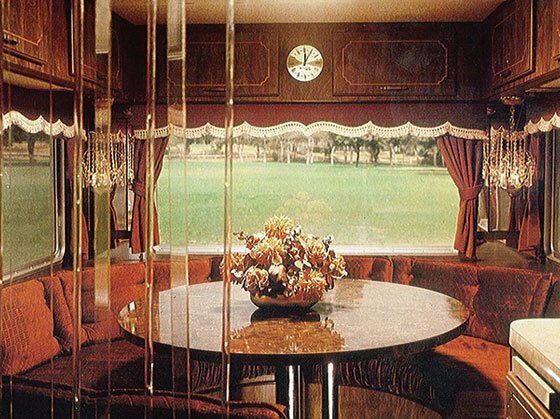 Bert’s wife, Jane, designs a series of spectacular interiors, and when the Establishment is introduced at Dodger Stadium, crowds go wild over the leopard skin and velvet interiors, unusual fixtures and extras. In its first year of business, Establishment becomes the #1 selling Class C motor home in California! 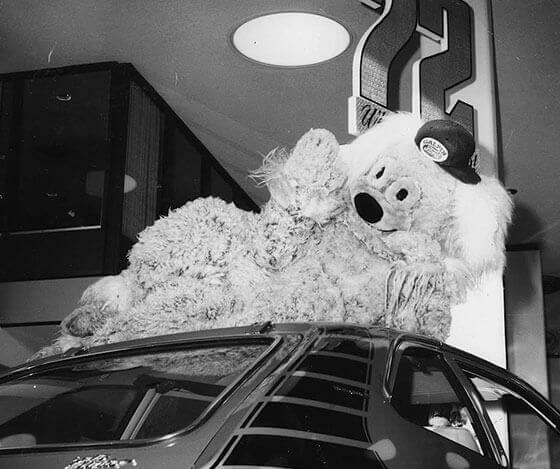 “The Shaggy Dog” at the new dealership, to promote the new 1972 Pinto! 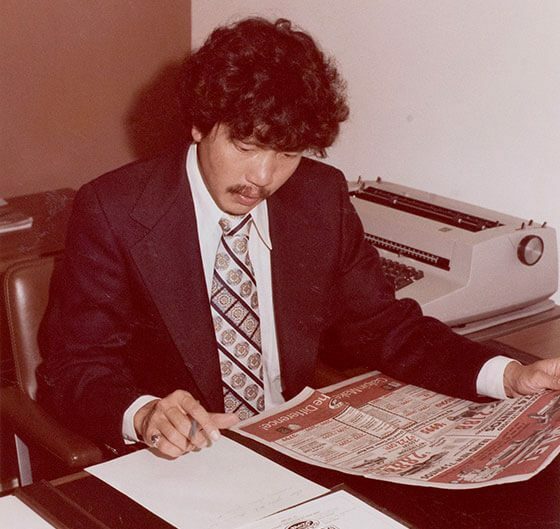 Jack Ong, Marketing Manager, diligently reviews a newspaper ad. 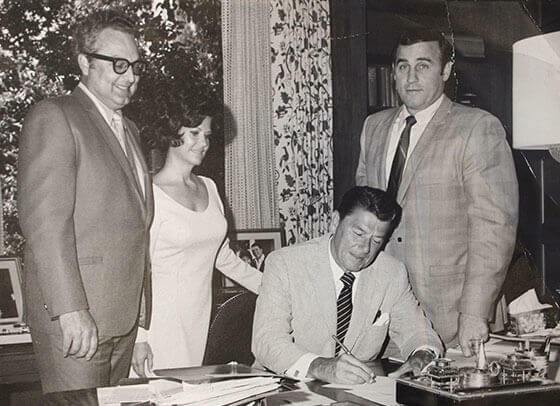 Bert and Jane with Ronald Reagan. 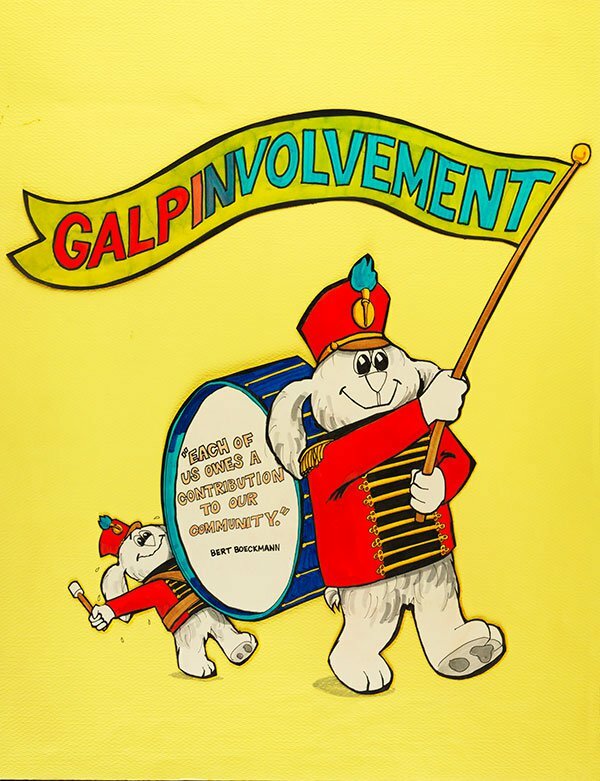 From the sketchbook of Dirk Wunderlich, Galpin’s ‘Galpinvolvement’ yearbook. 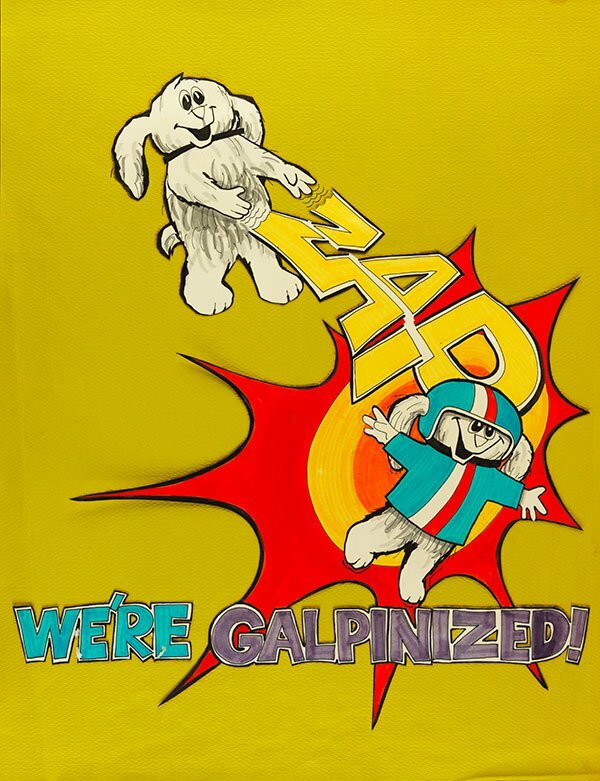 Galpin’s ‘We’re Galpinized’ yearbook by Dirk Wunderlich. 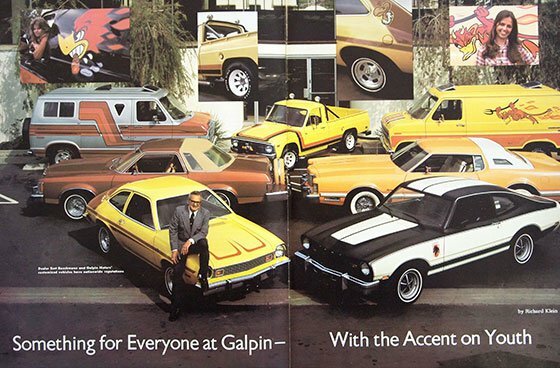 Bert posing with Galpinized custom vehicles in a Ford Dealer Magazine. Bert is inducted into the Automotive Hall of Fame.